Thinking on next school year already? 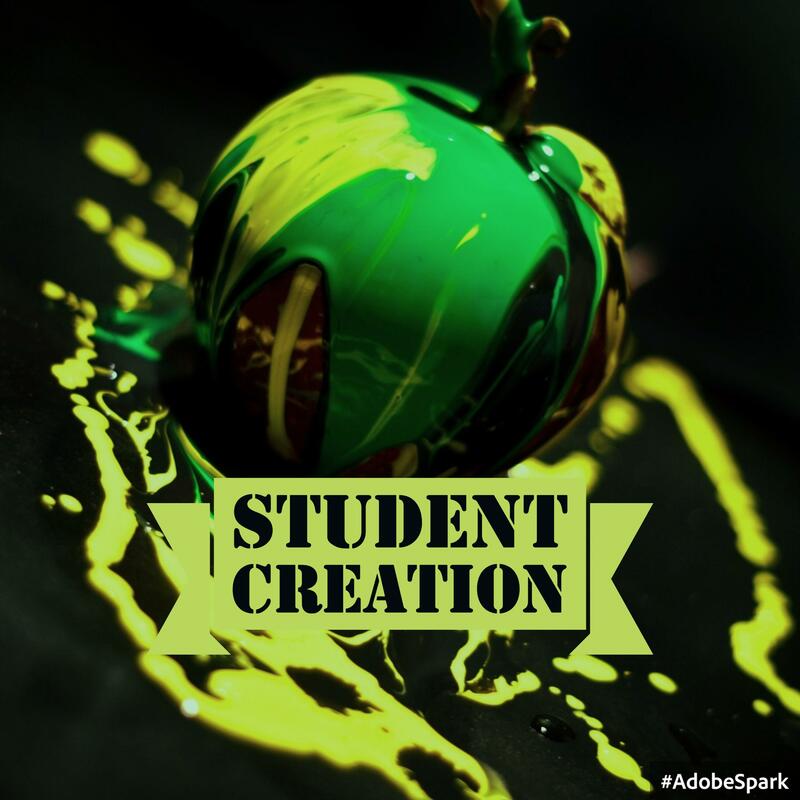 Think about ways to have your students create for the world! In today’s post we will talk about some different websites, iPad Apps, and Google Apps for Education ideas that you can start using on day one. No matter what age you teach – whether it is pre-k or AP Physics – there will be something here that you can use! There are tons and tons of apps that students can use on the iPad to create and show off what they have learned. This is a short list of some of the apps that I used in a high school calculus class. All of these apps can be used by the youngest students, build in some time for them to explore. Students can use the iMovie app to create short videos about what they have learned. They can create teaser trailers for book reports. The app is so easy to use that the youngest students can easily create fun movies. Elementary: Use iMovie to have the students work together in small groups and create a video of what they learned. Then once that video is completed – share it with your parents on your class website. You can also use iMovie to have students create a book report, or teach each other how to do a math problem, or demonstrate class procedures, or…There is no limit to what you can do with iMovie and young students. Secondary: Depending on the class you teach, some things will be different. Let’s look at a couple of different ideas here. In an international language class, have students use iMovie to create a teaser trailer of a country they would visit. Have them do the video in that language. Or you could have them create a movie and talk about the sites of a particular country in that country’s language. In science class, have students film the lab, then critique what they did well and what could be improved. In history, have students work in groups to create a teaser trailer of a particular historical event. With math class, they can work a math problem and explain their thinking to a global audience. Tellagami is great for any classroom. Create an avatar. Narrate…something. Share it. It’s that easy. 30-Hands is similar: take a picture/screenshot of something and narrate it. Put several slides together and save it as a movie. Elementary: Have students take a picture of something they are working on and explain it. Are they working on a math problem? Take a picture of the work they did and narrate how they did it. Just finish learning about a specific country? Find a picture of something that represents that country and have the students share what they learned. Practicing those shapes and colors? Have student talk about that! Secondary: In art, have the student take a picture of their work. Then explain what they have created and why. With history and politics, have students record the differences between political systems and assign students to defend a particular system as the best one. Just finish the To Kill a Mockingbird in English class? Have students work in small groups to develop a book report from a particular character’s point of view. Just discuss cell structure in biology? Have your students share with the world by narrating for elementary students why cell structure is so important. These are just fun to use and play with. You can also create really fun videos about what your students have learned. My calculus kids used Puppet Pals all the time to explain difficult concepts. Sock Puppets lets you tell a story with several different characters. Elementary: Use either app and let the students tell a story about what they have learned. Students can take a picture to make it the background and narrate what is happening here is why. Or they can use a variety of characters on the class play you are reading. They can share about what states they are learning or explain a math problem. Then, once the videos are completed, upload them to your teacher website and share with your parents! Secondary: My calculus kids loved these two apps, who knew?! In a small group, using whiteboard markers and a desktop, or sharpies and copy paper, I had the students work out a problem. Next, students would snap a picture, finally narrating what they did and why. If you have a really complex problem, you can take a picture and narrate each piece and combine the smaller videos into a larger one in iMovie. If you are a Google school or district – there are an infinite number of ways to have students use the collaborative nature of GAFE. If you are not a Google school or district, it gets a tiny bit more difficult. Depending on your students, some of the different Google Apps may work better for you than with others. Keep an open mind here and don’t assume that your students can or cannot do something. Be willing to try! The most collaborative platform for students to use. Think on a lesson your students need to work together on. Or plan together for. Or do anything together. Then have them create a Google Doc and share it with you. Google Docs are great for students, they have the look and feel of most word processors students have used. For the teacher, adding mark-ups is not difficult at all – you can even receive an email when students have resolved a comment! The online nature of the Google Doc allows students to work together outside of the school day, at a time when they can focus on the assignment. Google Docs can also be used on any connected device – they have an app for that! Before you are convinced that Google Docs can only be used in social studies or english classes – check out what Alice Keeler has to say about math! Where to begin here…there are so many things that can be done with Forms! You can use forms in any situation where you need to collect data. Create a simple quiz for your 1st graders and have them answer some questions about a book you just read. Use Forms to quiz your high school drama kids. Heck – use forms to organize your high school drama production! Students can use forms to gather data for research or track a lab they are working on. There are even add-ons for Forms that will grade what gets turned in. Check out Flubaroo as a possible grading add-on. Forms are simple to create and can be powerful to use. Especially for the elementary teacher trying get information from parents on day one. Ditch the paper where parents have to write – have them scan a QR code (which links to your form) when they walk into your room. Boom! No more deciphering handwriting or typing in wrong email addresses! Slides would be similar to PowerPoint – but more collaborative. As with the Docs mentioned above, students can work on these at any time in any place. You can even develop your lessons here and share them with your parents on your school website. This will allow parents to support you at home with what you are doing in your classroom!! One of my friends from Edmond Memorial used Slides in his government class to have students share what they had learned about Supreme Court Justice Antonin Scalia. Slides were developed by groups of three, with each group responsible for one slide. By the end of the day – there was a complete presentation! You can even used Slides to create a book! Get published without the expense of getting published! Have students develop an online portfolio of everything they are learning. Start with Sites – it is easy to use and can move up the grade ladder with the students. Or have the students create a website that showcases what they have done as they learn a specific unit. You can also have the students create a class website, including adding links they think are important. Sites can also be used as a place for a classroom blog to be developed. Students can blog about their learning successes and struggles. They can document what they learned and where they are headed. As with the other platforms, you are only limited by your imagination. Just Google “Google Apps for Ed” and see what you get! Share this post! Contact me – I love helping teachers think differently about technology!